Spoon Granita into the glass, filling half way. 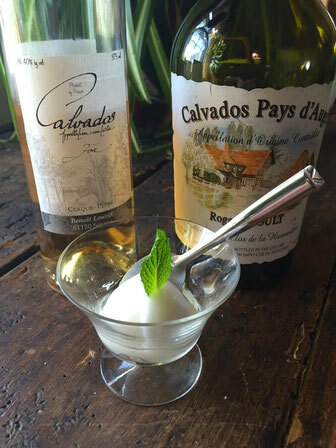 Pour Calvados over the Granita. Add mint leaf garnish. Serve immediately with tiny spoon. For a simple lemon granita recipe, we recommend this one from Epicurious.